Fimlab is the biggest Finnish health care laboratory chain with 90 laboratories, some old built in 50s, 60s and 70s, some completely new located in shopping malls. Their objective was to provide great customer experience but in reduced laboratory space. For this project, Diagonal assembled a team of service designer and interior architect. As usually, they took double diamond design process approach, starting from customer understanding. First step was crafting a customer journey. Whole service process was mapped. It started from orientation at entry point and continuing through the several stages. They have then moved to examine a real place, laboratory in mid-Finland. There, they mapped the artefacts, sampled interactions, and collected a lot of observations. Then, the prototype was created – a small laboratory made of cardboard. They included all the points of interaction into this space and invited people in. They walked people through the orientation phase, observed their reactions and asked them for a feedback. Key findings were related to clarity of the steps especially at entry; ambience, e.g. pleasant and relaxing waiting area; and functionality that is ensuring fluent work for staff. With servicescape understanding in place, they went to pilot implementation phase. 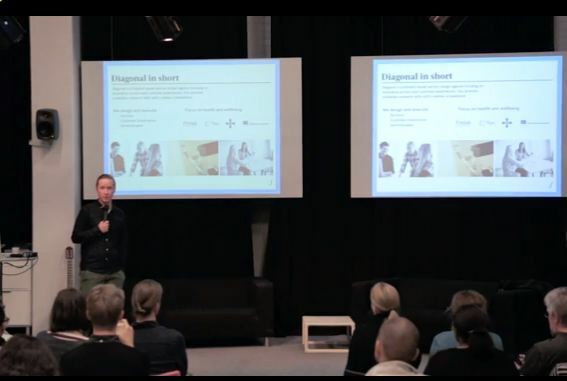 At the end of the pilot, Diagonal have received positive feedback from patients. They better liked the environment and how the service was done. 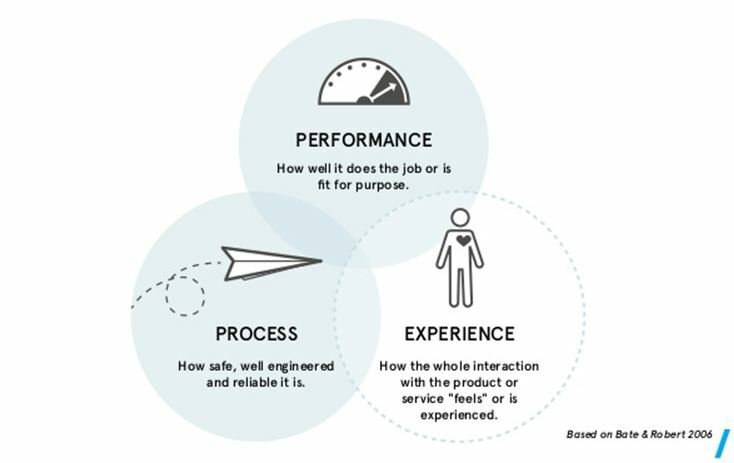 That proved the point that by focusing on experience the process can be improved, as people are better informed. Staff liked their work more and also liked the environment although it was smaller. Function was improved as well, since people were more relaxed, so that sampling succeeded usually from the first attempt. After the pilot, they started scaling it up. Customer is excited as the next step is about increasing the offering. “They just thought that we are coming in to design their laboratories, but through this process, they have gained much better understanding how they should be starting designing for the whole customer experience” Juha concluded. The slides and the video of the presentation are here.